There are many fun things you can do with your dog, especially once he has some basic training. This chapter will give you some suggestions. 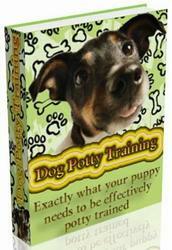 Besides being fun, the activities in this chapter provide your dog with the mental stimulation he needs to be happy. Dogs need more than physical exercise. They need mental exercise, too. They are intelligent, thinking beings who enjoy new experiences. And not only your dog will get mental stimulation. You will learn a lot, too. Dog activities also provide a unique opportunity to meet new people. There is something about dogs that makes it easy to start a conversation with a stranger. Maybe it is because you don't have to start off by talking about yourself or the other person. The furry bodies on the end of the leash are easy to talk about. So read on. See if there is anything that might interest you and your dog. You both could use something new to do, couldn't you?